My questionable (in my opinion) execution of the last product launch shook my confidence for some time—and it’s taken a while to figure out exactly what I want to do with Saleae and how I can become an effective executive for the sort of company we want to build. The real question was if I could commit myself—and get excited about—the new role that I needed to play, one where I remove myself from day-to-day engineering and operations and become the leader we need. So it’s been an enormous relief to have found that I’m really liking the new role—and I feel like I can really dig in and apply my intelligence on this entirely new class of problem. Building an organization in many ways is an engineering problem. It’s complicated and messy and difficult, but it is a problem that can be defined and quantified and largely solved, and I think I can be quite good at it in time. 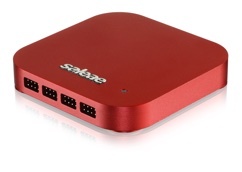 Within the team, we’re calling this transition Saleae 2.0. Basically, the idea is to think of it as if we were starting over—like if we were starting a brand new company, how would we do things? There is this weight of past foibles that sort of drags you back and gives you reason to doubt you can change—and starting fresh, at a new company, I mean, can help that problem. So this idea of Saleae 2.0 helps make it work. 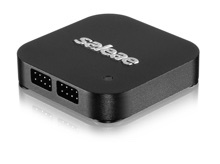 For the team, Saleae 2.0 started Jan. 1, 2016. That’s when we really started operating in a new way. And so Q1 was really a critical test to see if we could make that work or not. Week by week, we run sprints, and the idea is to work to accomplish the goals set up for the quarter—called OKRs (objectives and key results, something Intel came up with, I believe). The OKRs are specific and measureable and assigned to individuals—such that you can really measure your progress and keep everyone accountable. And the idea is that the OKRs are a little bit crazy—a little bit out of reach, such that if you achieve 70% of what you set out to achieve, you’re doing quite well. 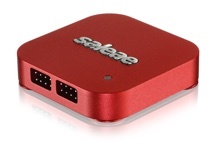 I’m happy to report that we now have a crystal-clear, super exciting vision for what we want Saleae to become. And you may be glad to know it does in fact include taking the logic analyzer to awesome new heights and fully addressing the feature requests you’ve provided over the years. The trouble has been to figure out a way to do that in a way that also will dramatically and sustainably grow the business (the logic analyzer market being what it is). I think we’ve got the business case cracked. It’s not something that I can go into detail on now—we’ll let it sort of unveil itself over time. Our OKRs for Q1 were largely focused around getting our crap together operationally; but in Q2, things start to get interesting—with cool software shipping and hiring for some key roles. First of all, we’re getting out of bloody beta. We’ll be shipping a new release every two weeks. And by the end of Q2, we’ll be delivering some new and interesting value, although Mark has asked me not to say anything specific about it for the time being. On the hiring front, we’re actively looking for a person who can deliver awesome technical customer support with super low latency—someone who will treat our customers with care and can directly help and relate to them because of their loads of experience in electrical engineering and embedded systems. We’re also going to hire a flat-out incredible software person—someone with broad and deep experience with software product development, continuous integration, leading a team, and designing software architectures across numerous bleeding-edge technologies like C++14, .NET Core & Native, Cuda/OpenCL, and NodeJS/Angular/React. And lastly, we’ll be hiring an exceptional individual to head up a new growth team. Someone who’s a rare combination of designer, copywriter, front-end developer, and marketer. So there you have it. It’s a bit of a brave new world for us, and it won’t be easy. We’re going to work like hell to make it work. Wish us luck.